Traveling in Germany is a bliss, as trains come and leave on time and logistics work in our favour as well. Left the pier at Frankfurt Airport, followed the instructions at my ticket, i.e. took train to Heidelberg, and here I am at Hotel Bayrischer Hof in the morning. 8.30 AM: I am impressed how well Germany works. As I just had carry-on luggage, I followed signs to the Fernbahnhof at the airport, purchased a one-way ticket to Heidelberg for € 25 (quite expensive if you ask me), changed for the S3 bound for Karlsruhe and left at Heidelberg. It took me around 50 minutes. The Hotel Bayrischer Hof is very well run. I stay at room 405, at the upper floor. Spacious and well maintained - the bed was a little hard, but I slept like a log, considering yesterdays dinner. 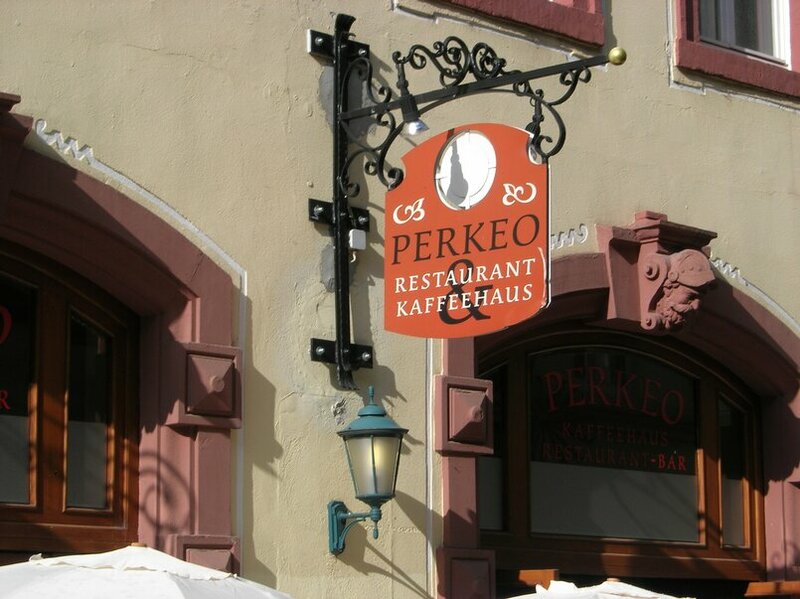 Last evening we walked down Hauptstrasse and sat down outside at Perkeo Restaurant & Kaffeehaus. We had a few pints of Heidelberger Hefeweizen, very refreshing in the mild evening. Germany is sausage heaven , so what else to choose than bratwurst, sauerkraut, potato mash, and gravy. If that wont get you going, nothing will. Delicious. 5.55 PM: What a day. I left the hotel around 10, heading for my nephews appartment in Römerstrasse in Weststadt. After a second breakfast(!) we left for a stroll along Philosophenweg along the north bank of the river Neckar overlooking the Altstadt. We admired a few very impressive houses, as well as an impressive view over Heidelberg. 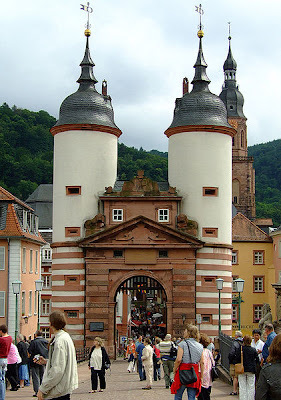 The we passed over the Alte Brucke into Altstadt. We stopped at the Restaurant Hackteufel and ordered a pint of Köstriker Schwartzbier watching people walking by. Then we walked through the Altstad. 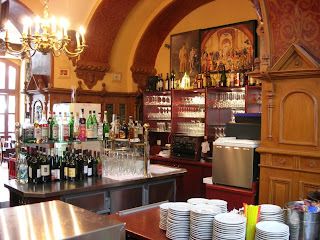 We enjoyed Weisswurst and mustard as a light lunch at Kulturbräuerei Hedelberg. Now I am back in my hotel for a one hour rest before going back to Römerstrasse. Tonight we will have agood meal at the neighbourhood kneipe.